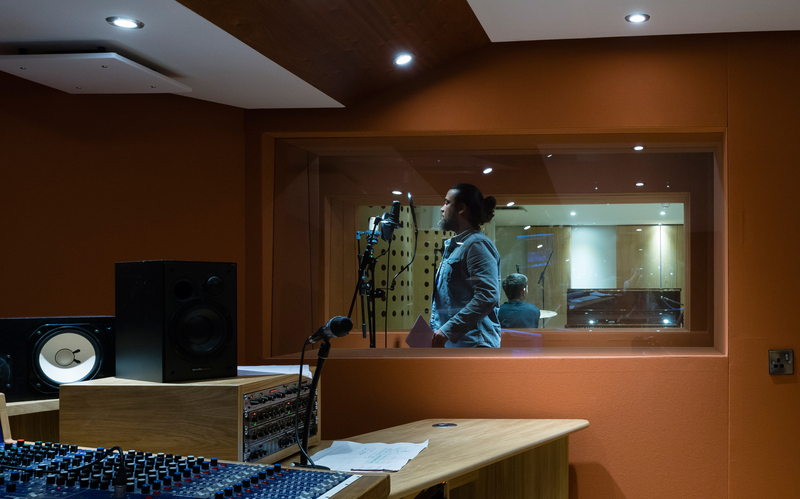 ECE reinterpreted the client brief to create a new entrance, refectory and learning resource space, refurbishing legacy space for new state-of-the-art music studios. 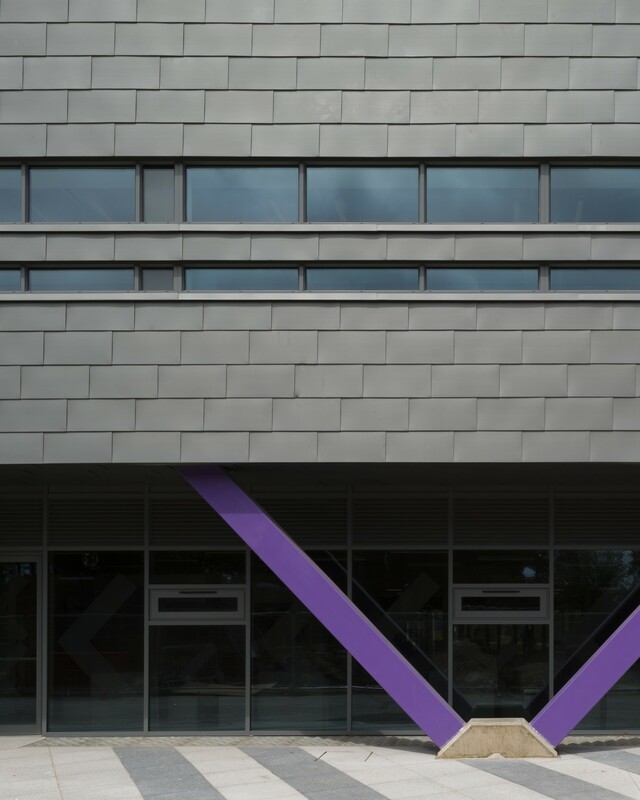 The new centrally located entrance building creates a welcoming arrival for staff and students, creating an atrium between the new and existing building where previously this space provided an uninviting entrance to the college. 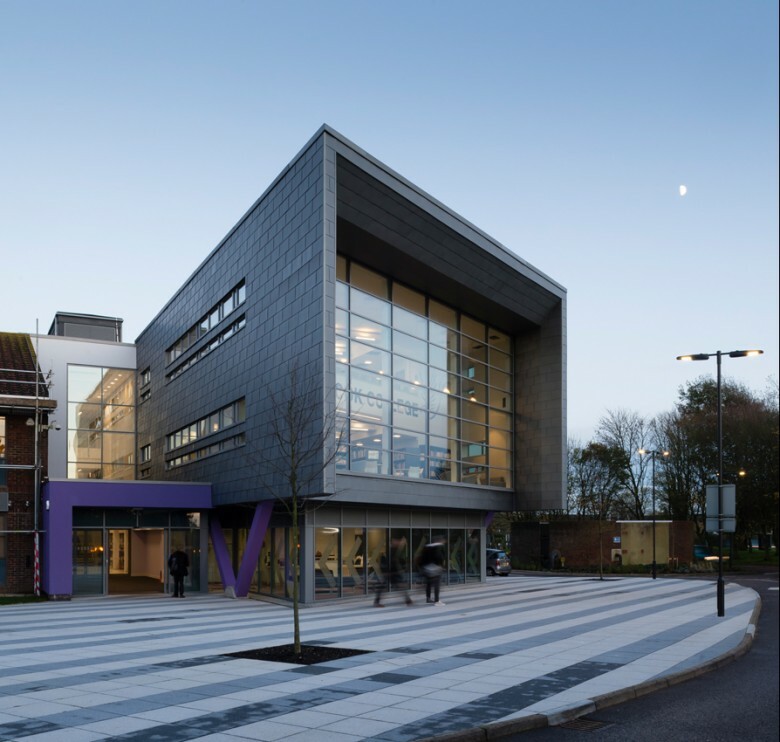 To deliver the architectural vision and to meet the college’s budget, ECE undertook a value engineering exercise together with the wider design team that saved over £0.5m without diluting either the high design quality or the quality of finish. 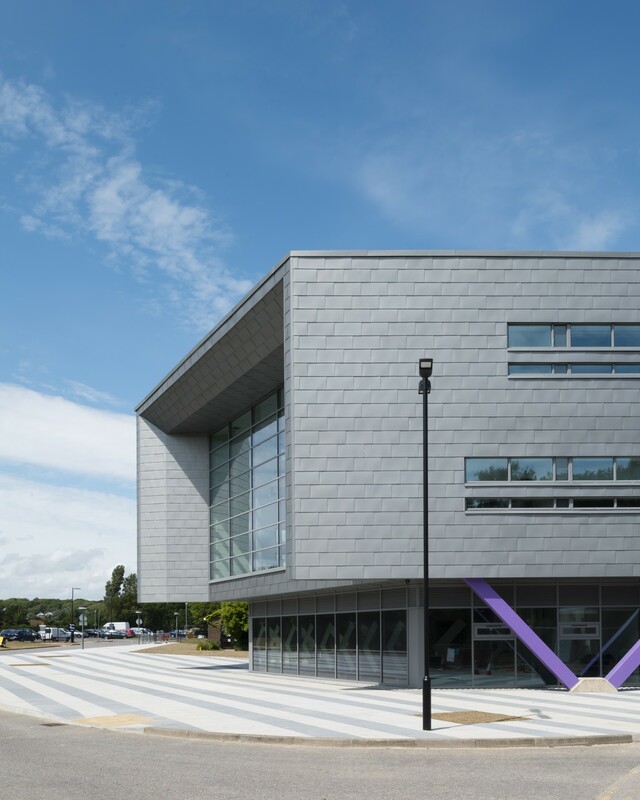 A bold addition to Northbrook College’s West Durrington campus provides new facilities for students and staff while improving the visibility of college in the local community. 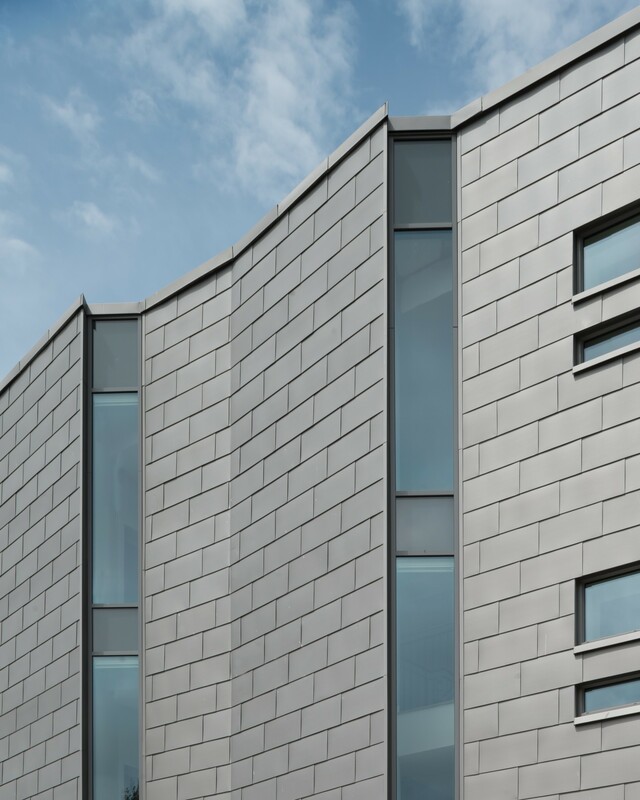 The new zinc clad Learning Resource Centre, main entrance and refectory replaces poor quality existing facilities. 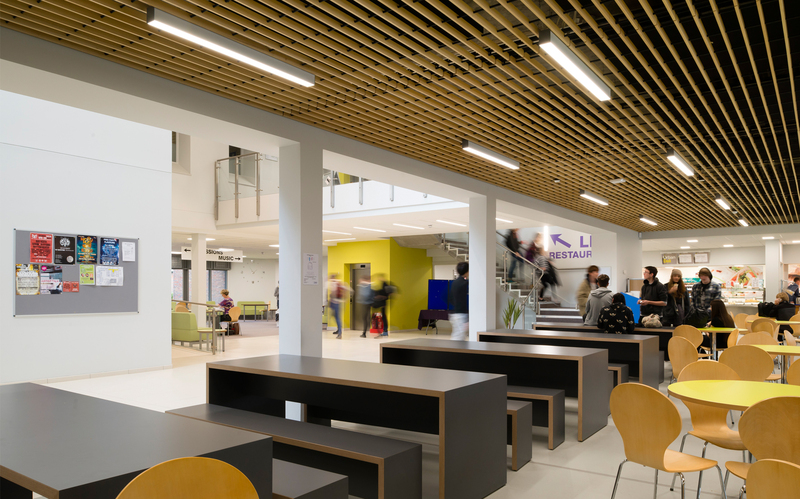 Located at the heart of the College the new building and social spaces benefit all students and staff while the welcoming entrance provides space for student work to be displayed. 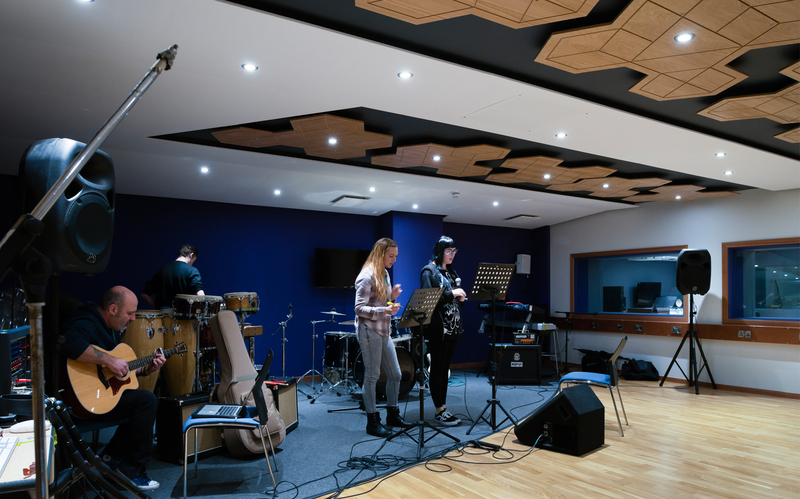 Legacy spaces have been converted to provide state-of-the-art facilities for music and drama. 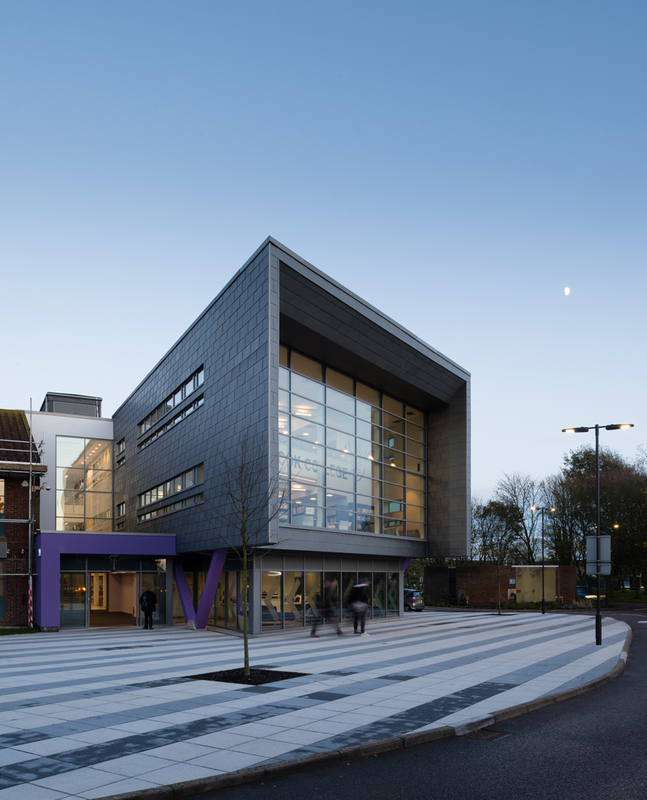 The main entrance to the College campus is accessed from the West through a new lobby between the existing and new buildings. The reception area is located on the right of the entrance with a new 3 storey atrium space beyond where the main stair and lift core provide vertical circulation through the building. Within the refurbished entrance area a new ramp and steps are provided to accommodate the level change between the new build and the existing administration area to the west. The new refectory is designed to provide 250 covers, double the old facility. 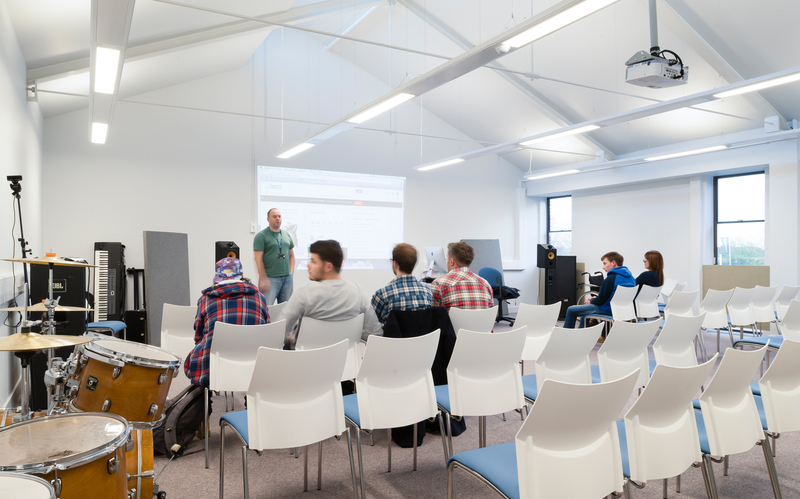 A vibrant social space for students and staff to eat as well as a work space for individuals and groups. The southern façade maximizes natural daylight through a fully glazed curtain wall, which is set back at first floor to provide solar shading in the summer months. 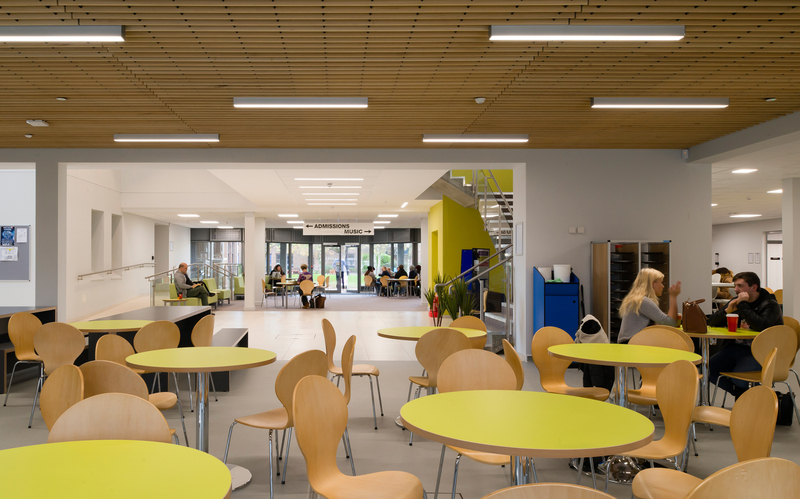 The refectory kitchen and servery are located within the refurbished existing building. 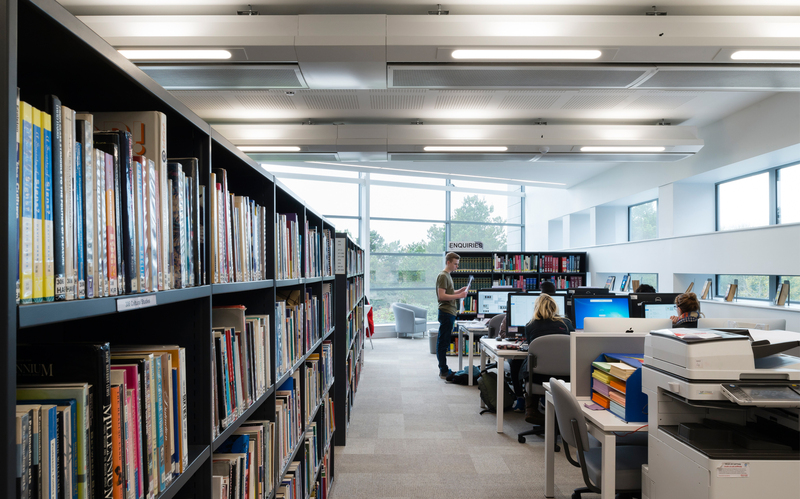 The secure LRC is located over the first and second floors with an internal accommodation stair to move between the two floors. 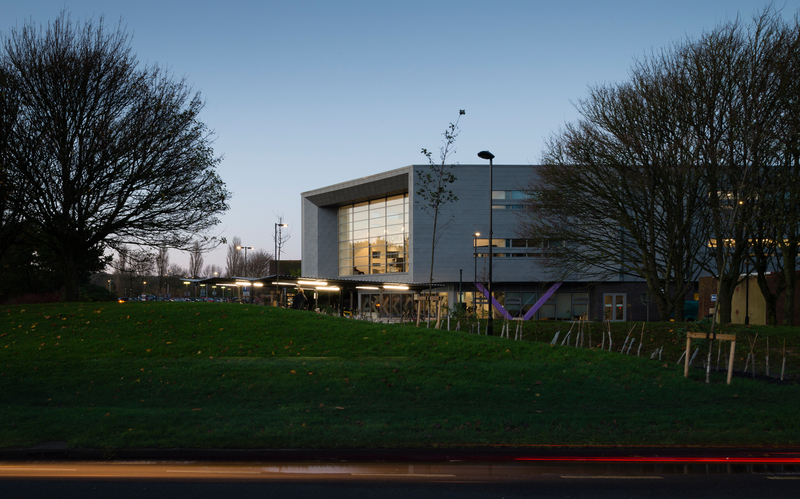 A large picture window on the west elevation provides daylight and views from the double height reading area.